Free shipping. Buy direct from HP. 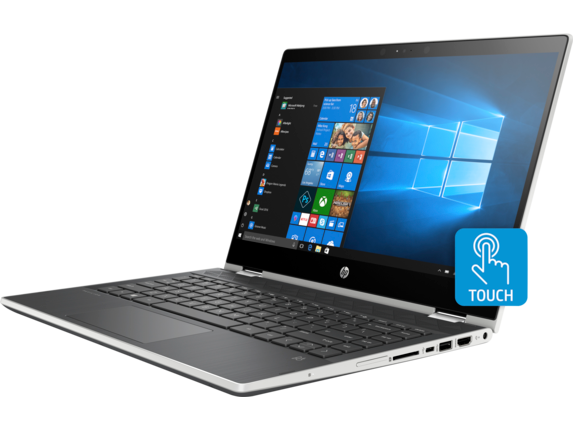 See customer reviews and comparisons for the HP Pavilion x360 Laptop - 14t touch. Upgrades and savings on select products. All your activities become easier and faster than before with the high performance of a powerful PC. Watch videos, edit photos, and connect to family and friends with all the power you need to get things done. 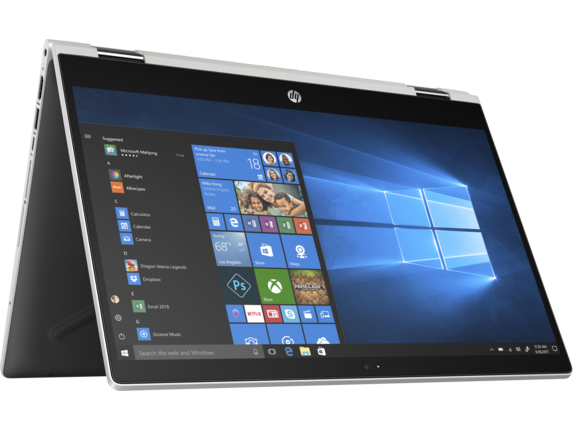 Working on-the-go is easier when it doesn’t weigh you down, which is why we built the HP Pavilion x360 convertible laptop to be not only thin and light but also incredibly versatile. 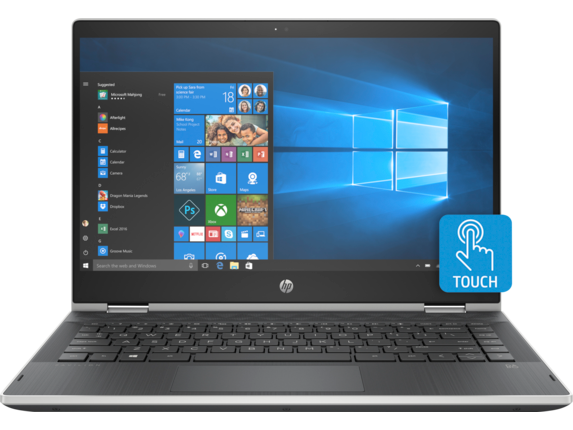 It boasts a stylish exterior design, powerful specs, a vivid micro-edge touch screen, and a 360-degree geared hinge to help you work better from any location. 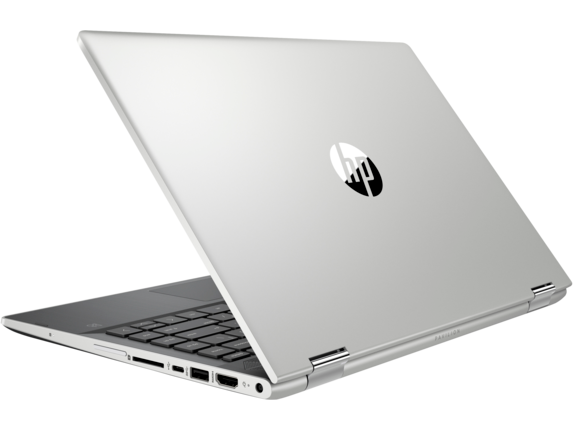 The HP Pavilion x360 works like any other notebook when you need to type, browse, watch, and create in laptop mode, but when you flip the keyboard behind the screen, that’s when the magic really happens. 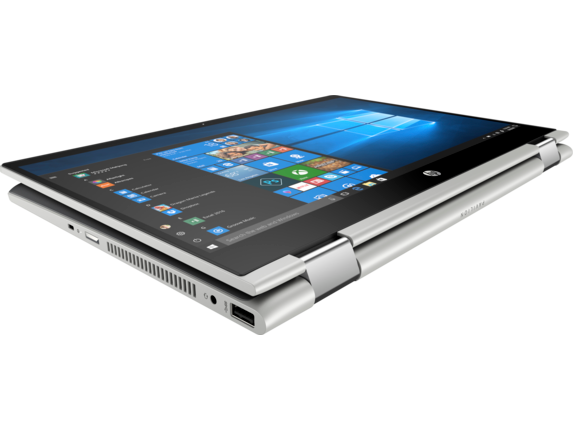 The innovative 360-degree geared hinge lets you use your HP x360 convertible in more ways than you may have thought possible with a laptop. Want to give a presentation on the fly? Use tent mode, prop up your notebook on any flat surface, and get to it. Want to relax while you travel? Switch to stand mode to watch shows, movies, or browse the web without the keyboard getting in the way. And if you want to take notes by hand with a stylus or enjoy a completely touch-focused experience, tablet mode gives you an immersive way to use your notebook. When it comes to being productive on-the-go, the only limiting force is how much battery life you’ve got left. Don’t limit your yourself to using a laptop that only lasts a few hours. The HP Pavilion x360 comes with a spacious all-day battery that can last up to 9 hours, giving you ample power to take on the day. And when your battery does run low, take advantage of HP Fast Charge to refill quickly and get back in the game quicker than ever. The HP Pavilion x360 handles mobile productivity with ease when working outside of the office, but it’s just as efficient at taking on your to-do list when you’re at your desk. With a number of ports to choose from that include 1 HDMI, 1 USB-C, and 2 USB 3.1, you can easily connect up to two external displays and your choice of accessories, giving you full control over how you get things done. Want to turn your HP Pavilion x360 into a hub for your office’s productivity? Consider the HP DeskJet 3755 All-in-One printer, which lets you easily print from your laptop - or mobile device - from anywhere in the workplace as long as you're on the same network, giving you even more versatility in the way you work. But that extra level of versatility doesn’t have to be constrained to when you’re in the office. For a smart, unique way to print photos when you’re far away from any WiFi, the HP Sprocket photo printer gives you an exciting new way to get your pictures fast without the need for wires, networks, or even ink. 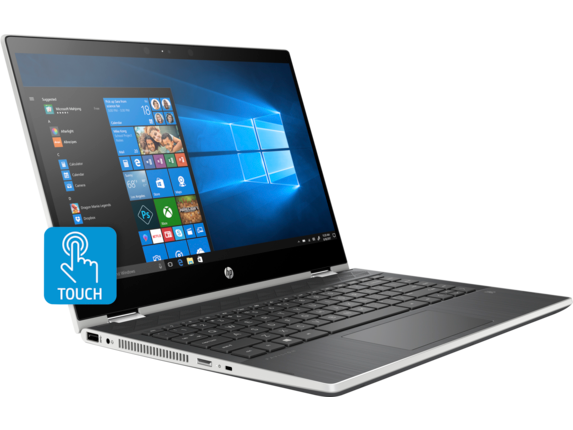 Connect it to your HP x360 convertible via Bluetooth, select your photos, and print. It’s that simple. Don’t be held back by lackluster audio. 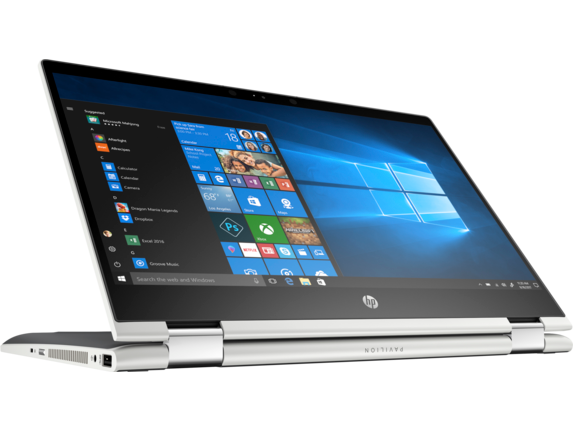 The compact and mobile frame of this HP x360 convertible includes speakers custom-tuned by the sound experts at Bang & Olufsen. They deliver a robust sound experience ideally suited for streaming shows and movies, taking conference calls, listening to music, and more. Traditional laptops only let you interact with what's on your screen through two methods. You can type on your keyboard to enter commands and you can use a mouse or touchpad to interact with on-screen elements. But with a touch screen, you’ll enjoy another realm of usability with the option to interact directly with your screen. The hinge allows you to tailor your workflow with the ability to position your screen in the ideal position for easier interaction. Take the keyboard and mouse out of the picture completely with tablet mode to fully immerse yourself as you tap, swipe, and scroll. And when you use a stylus with your HP Pavilion x360, you can create on your notebook in entirely new ways. This simple addition gives you an easy way to write, draw, and more as naturally as you would with pen and paper.